Partial darkness fell over major landmarks in cities around the world taking part in a global event to push for action on climate change and other man-made threats to the planet. The Eiffel Tower in Paris and Rome's Colosseum were among the instantly-recognisable sights that switched illuminations off for the 13th edition of Earth Hour, which is organised by the environmental group WWF. This year nearly 200 major landmarks were plunged — temporarily — into darkness. They include New York's Empire State Building, the Christ the Redeemer statue in Brazil and the Sydney Opera House. Ahead of the Eiffel Tower shutdown, Paris Mayor Anne Hidalgo and junior environment minister Brune Poirson appeared at the foot of the 130-year-old structure for a public discussion on global warming and declining biodiversity. 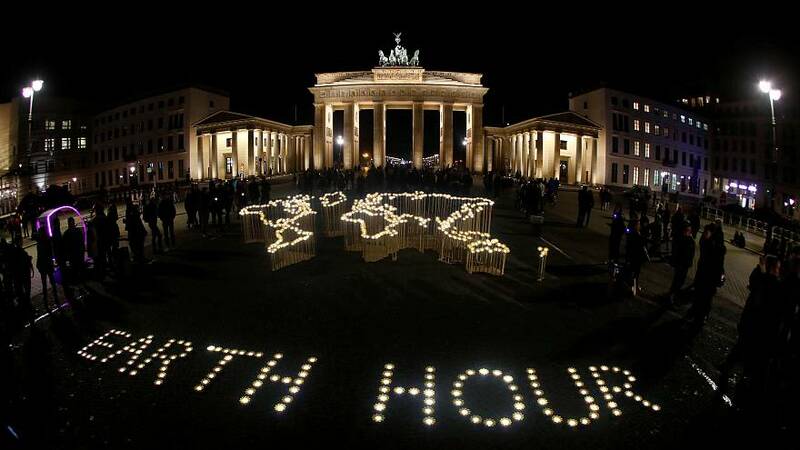 Earth Hour has grown steadily since the first event in 2007. Organisers say it is now observed in more than 180 countries and territories around the world.